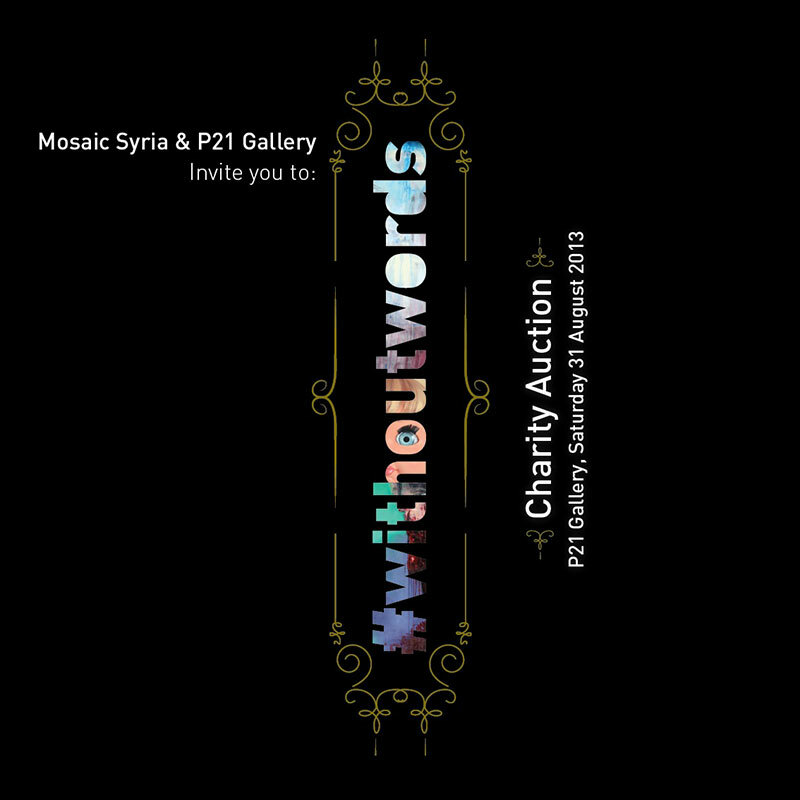 Mosaic Syria and P21 Gallery are pleased to invite you to the auction of the works exhibited in #withoutwords: Emerging Syrian Artists. The funds raised will be shared between Mosaic Syria’s aid relief work and the artist. Mosaic is looking to raise £24,000 to sponsor food parcels for internally displaced people in Syria. We are working with several local NGOs and other activist groups on the ground to make sure the food will be delivered to at least 800 families in the suburbs of Damascus. Taking place at London’s P21 Gallery and open to the public from June 27 until September 01, the exhibition showcases fine art and visual installations from emerging Syrian artists influenced by the desperate humanitarian situation in the country, and the struggle of their people for freedom. It features paintings, photography, metalwork, installations, political cartoons and sculptures. Some of the exhibited work has been smuggled out of Syria and is exhibited abroad for the first time. Other pieces have been collected from Lebanon or Jordan or made in the refugee camps of Turkey. #withoutwords features, in the main, a younger generation of artists stationed across the Arab world and Europe, many of whom were trained in Syria and have since departed. #withoutwords: Emerging Syrian Artists was curated by Tarek Tuma, Malu Halasa, Fadi Haddad, Inzajeano Latif, Bibiana Macedo. The exhibition would not be able to take place without the kind support from Asfari Foundation and Takween.